I hate those names because they are wrong. 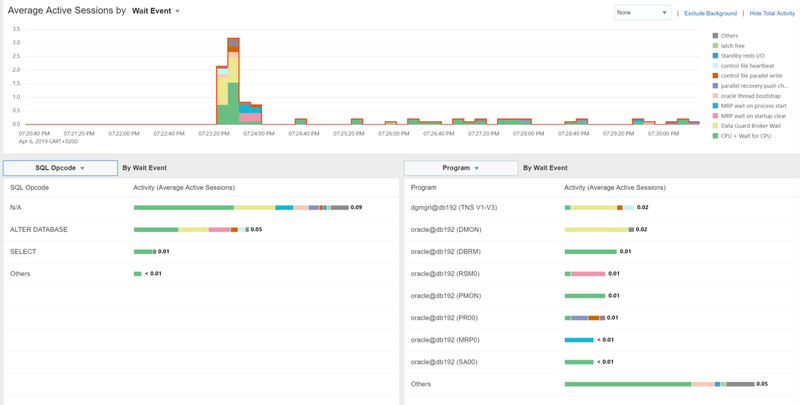 A central console has nothing to do with “grid” or “cloud” and the only all-targets view is the ‘DB Load Map’ page. Something is wrong when a customer talks about “The Grid” and you don’t know if it is about the administration console (OEM) or the clusterware Grid Infrastructure (GI). Even worse with a one-database only GUI. But marketing always win. 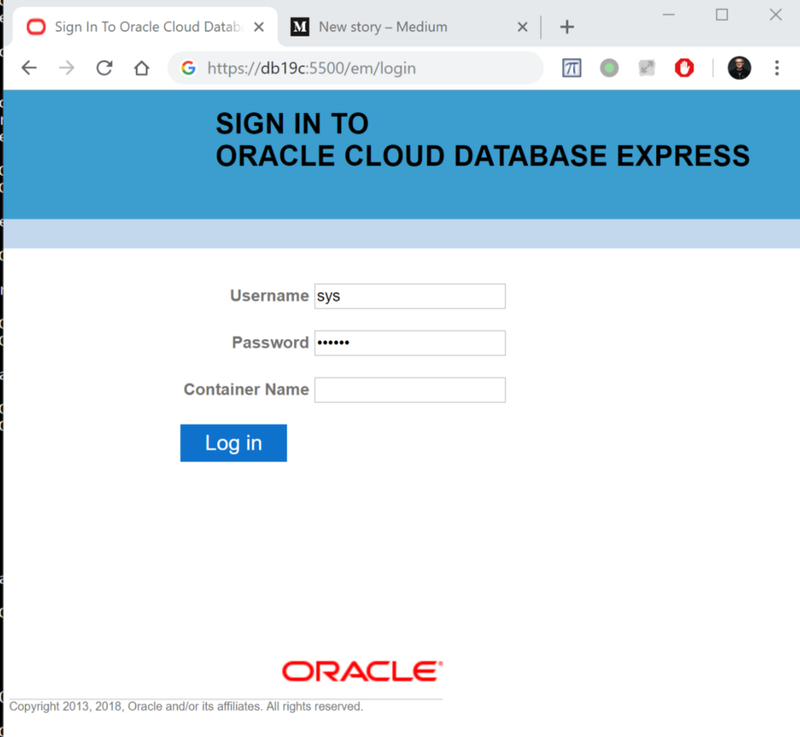 And in 19c this small single-database graphical interface, mostly used by small companies having few databases hosted in their premises, is called “Oracle Cloud Database Express”. It is probably not a big problem for the moment, given the very limited features that are there. 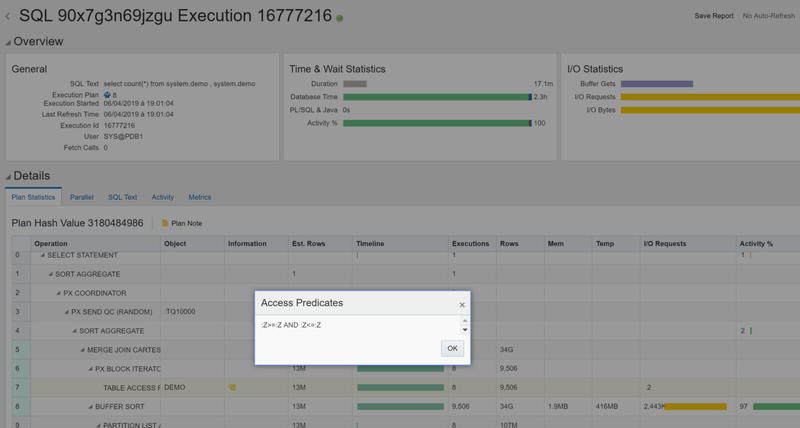 No need for SYSDBA to read performance statistics and kill sessions. I’ll update this post when I have more information about this. 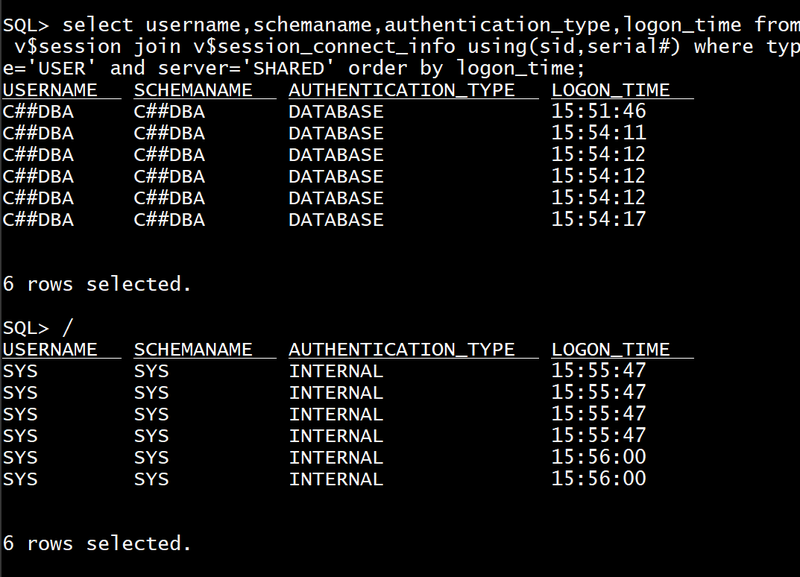 As you can see in the login screenshot, I can mention a container name, the default being the CDB root. However, when I try to do so I get the XDB login popup (same as when I forgot the /em in the URL) and ‘Invalid Container’. The workaround is to open a port for each PDB and connect directly to it. One item only in a menu… my guess (and hope) is that this one is still work-on-progress. 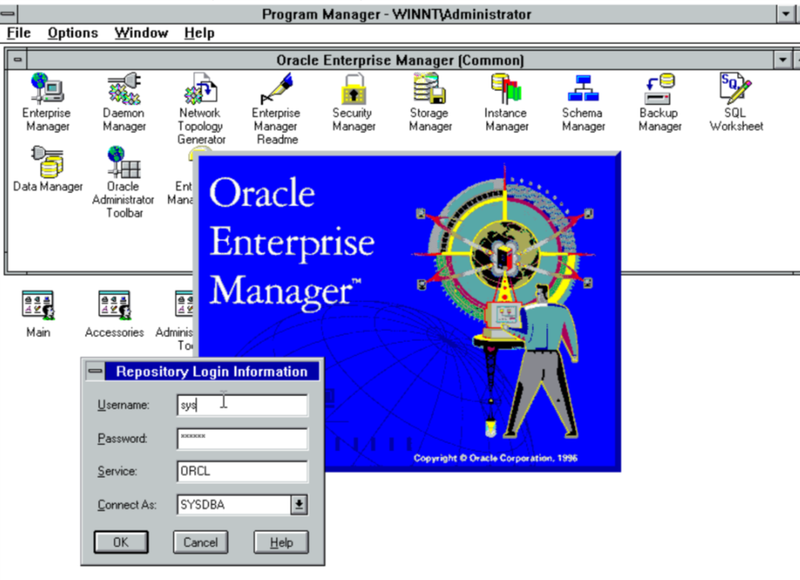 19c is currently for Exadata only and Ican imagine that all installations are managed by Oracle Enterprise Manager. Or maybe SQL Developer Web will become the replacement for this console.